Wow 2016 has been some year! 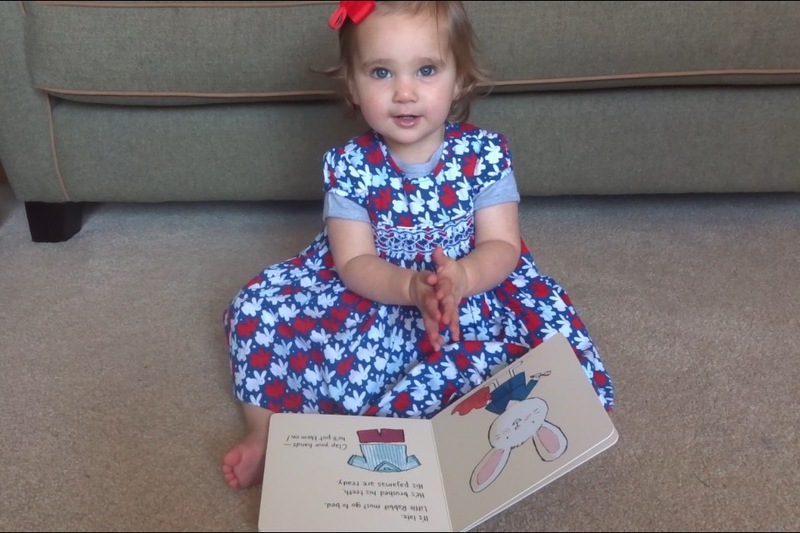 BookBairn has gone from a babbling baby to a little chatterbox, from a crawler to a walker, from a highly dependent baby to an independent little thinker with a mind of her own. Goodbye baby, hello toddler. And it has been amazing! Like most parents, I'm in awe of all her daily achievements, many of which are now a blur as she whizzes on to learn the next thing. 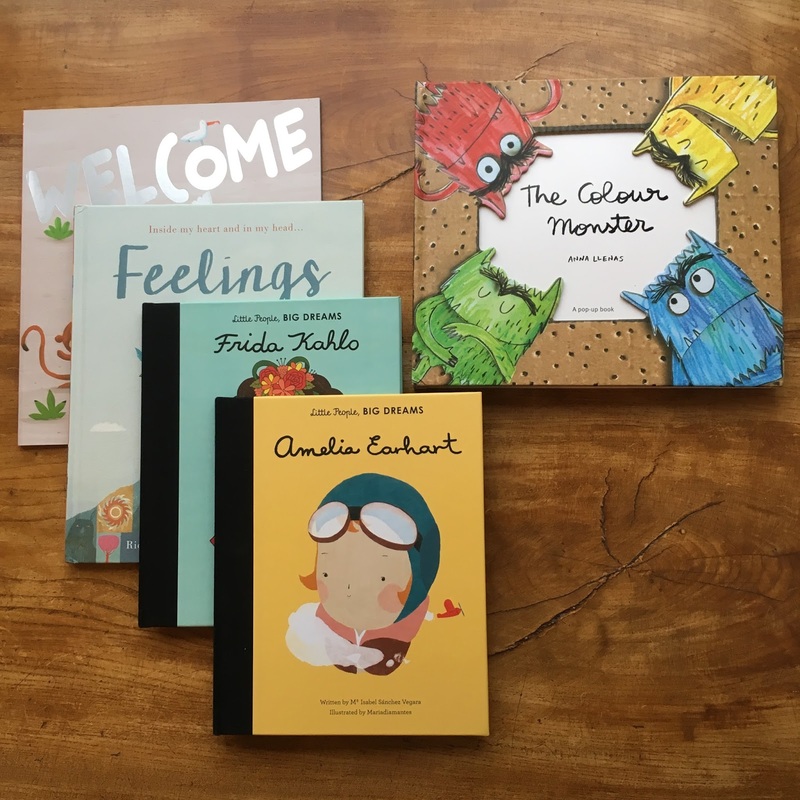 She still loves her books, but now it's impossible to get her to sit and read something that she doesn't want to read - we hear the phrase "don't like it" more regularly than ever and she can now request her bedtime reads by title. She can make choices. And that is fascinating. This is a book that is constantly lying around our house. It's pulled from the book cupboard, lives on the toy box, or features on our favourites shelf. But wherever I put it, it never stays shut for long. Daddy, BookBairn and myself all love to read this story together but it's also one that BookBairn enjoys reading on her own. If you haven't discovered this book this year - you really must hunt down a copy! It is beautiful, funny, clever and keeps little ones busy for long enough to enjoy a hot cup of tea - what more could you ask for? 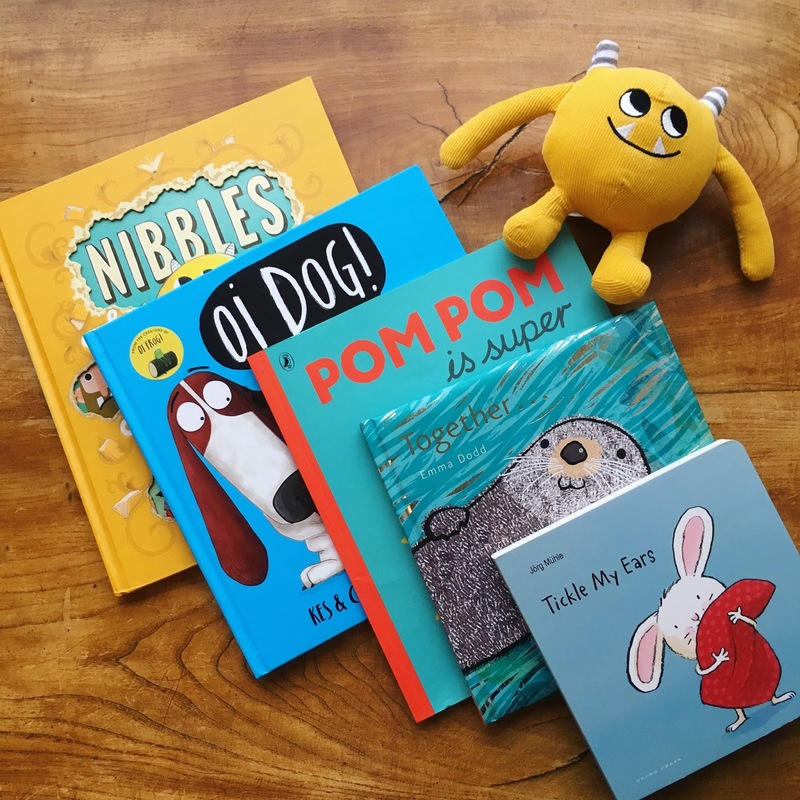 BookBairn just loves these books - perhaps it's because she can sympathise with the grumpy toddler panda who likes to get his own way, perhaps she adores the colourful illustrations, perhaps she likes that Pom Pom does the same sorts of things as her? Who knows? But she loves him. And I think he's pretty darn cute too! "Today we had a dreamy day, we watched the clouds float by." 2016 has been a year of dreamy days for us, and BookBairn often falls asleep just after this book. She has requested it more than any other at nap and bed times. And she can recite much of it by herself. It's poetic, beautiful and brings a tear to my eye to read it with her. One of the most magical books of the year. It will make you proud to be a parent and want to squeeze one more cuddle in just before bedtime! A lovely story that will help little ones get ready for bed. An interactive story that avoids the flaps, touch and feel or loop-the-loop gimmicks to get children involved in the story. It simply asks them to join in with the routine. And BookBairn loves it! She loves helping Little Rabbit get ready for bed. Bedtime story perfection. 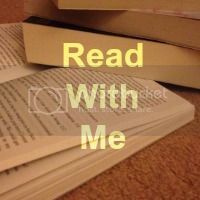 This is by no means an exclusive list, I realise I've missed off so many great books but I thought I should limit myself so that I could get this post written before 2016 was over! Look out for our post tomorrow sharing the 2017 books that we are most looking forward to! Hope you all had a wonderful 2016! I love Nibbles. He's my kind of monster. I just looooove those Emma Dodd books! Excellent choices, and cheers to 2017!! How lovely! It's great that she is already choosing her own favourite books. I remember a few books we had to read over and over again when my kids were little. I can probably still recite them now! We love Nibbles too and I saw an advance copy of Nibbles and the Dinosaurs at Frankfurt Book Fair this year. Can't wait for it to be published!